There are myriad productivity and organization tools out there, and even more books on the subject. So many in fact, that trying them all out could make life feel more chaotic instead of less cluttered. With that in mind, I’m eager to share my experience with Trello, an easy to use and very visual project management tool. 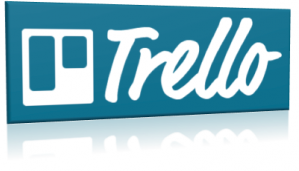 Trello is a free web-based management application that supports iPhone, Android, and Windows 8 mobile platforms. It was launched in 2011, and in that same year Wired magazine named it one of “The 7 Coolest Startups You Haven’t Heard of Yet.” According to Trello, it reached over five million users this September. Trello uses a method called kanban, which was developed by Toyota to maintain a high level of production. In Trello’s case, it means users create boards for each project. Within each board, you can create as many lists as you’d like to correspond to tasks. 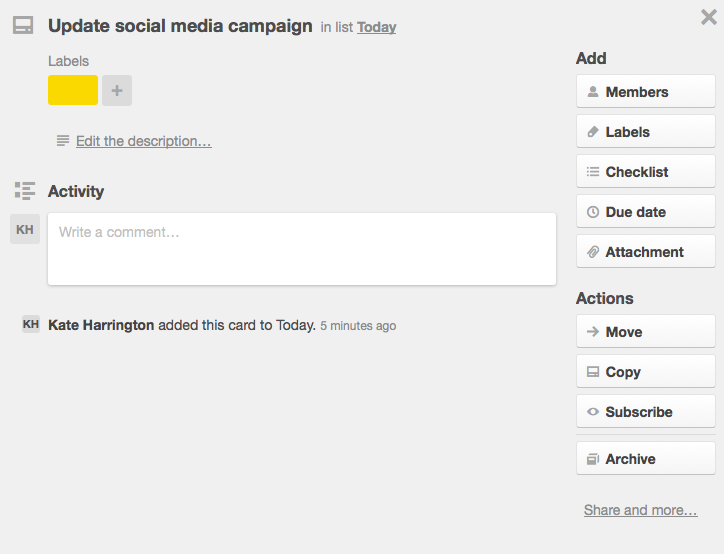 Each list contains cards, which users can move from one list to another. For instance, I might create a board that’s labeled “Tasks” that encompasses business and personal items. Within that board I can get more specific, creating a list that has separate cards like “writing,” “business,” “family,” and “health.” In each list I can then create cards. I’ve color-coded my cards to correspond to the items in my “big picture” list, but that’s optional. Clicking on a task opens it up and allows you to invite members, move it to a different list, or make notes on it. You can also invite members to join you on an individual board, and it’s easy to change the settings on a board to “private,” “organization,” or “public.” What’s nice about that function is that it allows you to put your work and personal tasks into one management tool. I can create a separate board for one client and share that information with the relevant people, while also maintaining a board to do with family tasks that only my husband and I see. I’ve showed here how I use it as an individual management tool, but Trello is also a great way to interact with groups on projects. Its highly visual design makes it easy to follow the progress of a task and keep up with the latest information. Instead of sending email messages back and forth, team members can correspond by leaving notes on cards. Until Trello I still preferred to write tasks out on a calendar, because it’s easiest for me to process information when I can see it laid out in front of me. Trello has quickly taken the place of the written-out desktop calendar, though, and it’s a system I will likely keep using.